Space weaponry, satellite surveillance and communications, and private space travel are all means in which outer space is being humanized: incorporated into society’s projects. But what are the political implications of society not only being globalized, but becoming ‘cosmic’? Our ideas about society have long affected, and been affected by, our understanding of the universe: large sections of our economy and society are now organized around humanity’s use of outer space. Our view of the universe, our increasingly ‘cosmic’ society, and even human consciousness are being transformed by new relations with the cosmos. 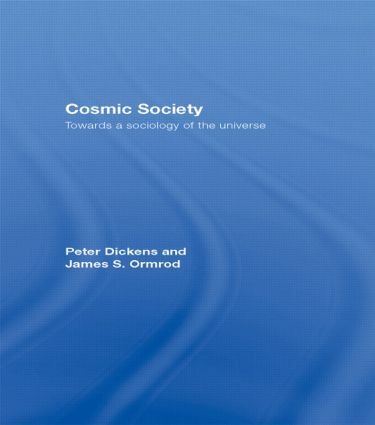 As the first sociological book to tackle humanity’s relationship with the universe, this fascinating volume links social theory to classical and contemporary science, and proposes a new ‘cosmic’ social theory. Written in a punchy, student-friendly style, this timely book engages with a range of topical issues, including cyberspace, terrorism, tourism, surveillance and globalization.